THE opening sale kicking off the three-day Swaldedale ram fixture at Kirkby Stephen, saw a new breed record for a ram lamb set. Ram lamb averages were significantly up on the year at £1,474.74. Record breaker at £24,000 was the champion from Kevin Sowerby, Milburn, which was bought in a half share between R.S. Harker and Son, Kendal, and R. Hargreaves, Burnley. 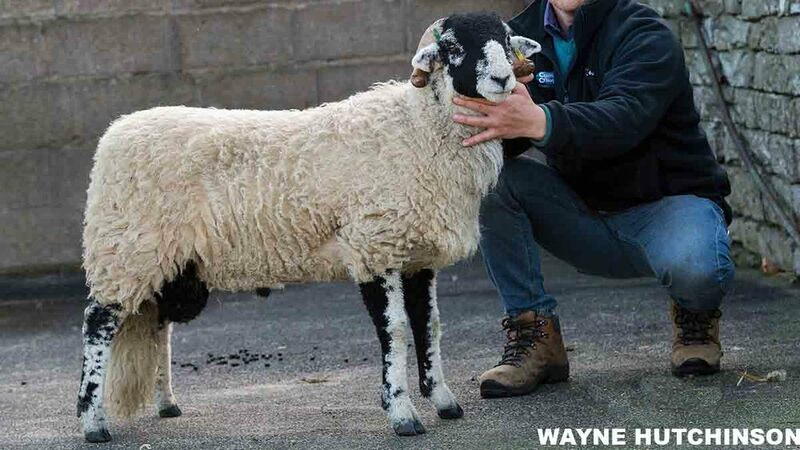 The record was broken earlier in the sale when a ram lamb from R. Marwood, Richmond, sold for £12,000, being bought in a half share again by Messrs Harker and Messrs Hargreaves. Messrs Marwood had other ram lambs hit £5,500 and £5,000. Aged rams topped at £3,500 for an eight-shear which placed second from W. H. Hutchinson, Ravenstonedale, selling to S.W. Lawson and Son, Richmond. Ram lambs, £1,474.47 (+£640.96); age rams, £624.59 (-£124.54).